^ 4.0 4.1 4.2 Dunnington, G. Waldo. (May 1927). "The Sesquicentennial of the Birth of Gauss". Scientific Monthly XXIV: 402–414. 2015年1月29日查閱. Comprehensive biographical article. ^ Zeidler, Eberhard. Oxford User's Guide to Mathematics. Oxford, UK: Oxford University Press. 2004: 1188. ISBN 0-19-850763-1. ^ 参考资料一： 存档副本. [2009-06-26]. （原始内容存档于2010-04-09）. ^ 10.0 10.1 布赖恩·伯勒尔(Brian Burrell) (作者), 吴冰青 (译者), 吴东 (译者). 谁动了爱因斯坦的大脑:巡视名人脑博物馆. 上海科技教育出版社. 2009: 68,77. ISBN 9787542849250. 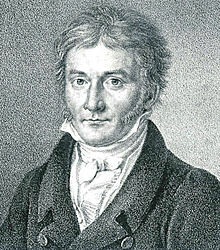 ^ Gauss biography. Groups.dcs.st-and.ac.uk. [2008-09-01]. ^ 12.0 12.1 Letter:GAUSS, Charles Henry to Florian Cajori – 1898-12-21. Susan D. Chambless. 2000-03-11 [2011-09-14]. ^ Bell, E. T. Ch. 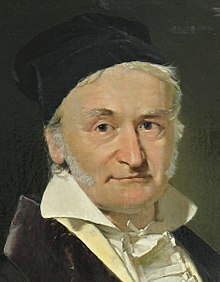 14: The Prince of Mathematicians: Gauss. Men of Mathematics: The Lives and Achievements of the Great Mathematicians from Zeno to Poincaré. New York: Simon and Schuster. 2009: 218–269. ISBN 0-671-46400-0. ^ Bayerisches Staatsministerium für Wissenschaft, Forschung und Kunst: Startseite (PDF). Stmwfk.bayern.de. [2009-07-19]. （原始内容 (PDF)存档于2009-03-25）.